Red Planet Japan, subsidiary of the Bangkok-based Red Planet Hotels, today announced the establishment of a new subsidiary in the Philippines and the acquisition of two local flagship properties by the new subsidiary. The planned opening of the two hotels in 2019 and 2020 will double the number of rooms in Red Planet Japan’s portfolio and is expected to greatly contribute to its future revenue and earnings. This acquisition follows the opening of Red Planet Japan’s fourth hotel in Sapporo on 1 June 2018. The new subsidiary, Red Planet Hotels Manila Corporation, will acquire the land lease rights and partially-constructed assets of two hotels in the Philippines, Red Planet Manila The Fort and Red Planet Manila Entertainment City, for a total consideration of PHP166,768,612 (approximately JPY350m). Both hotels shall become flagship hotels generating high returns on capital employed. The ultra-prime locations of the two hotels are expected to appeal to both domestic and foreign business and leisure travelers. 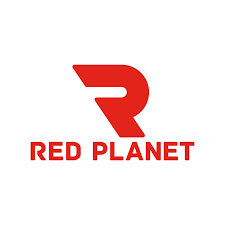 “The establishment of a Philippines subsidiary and the acquisition of these development assets represent another big step forward in the execution of Red Planet Japan’s plans for significant growth,” said Red Planet’s Chief Executive Officer, Tim Hansing. “The travel industry in the Philippines continues to grow rapidly, especially with a significant increase in inbound tourists. The similarities with the rapid development of inbound visitation to Japan tourism are notable, making this acquisition a natural next step in our growth strategy. Both Japan and the Philippines are high-growth leisure travel markets, and we are therefore building a sizable presence in both markets,” Hansing added. Inbound arrivals to the Philippines grew by 25.6% in 2017, propelled by sizable increases in arrivals from China and Japan. Whilst Chinese visitors to the Philippines grew by 43.3% in 2017 alone, Japanese tourism to the Philippines has also surged over the past 8 years, from 2009 to 2017, with a total increase of 80%. With a growing brand presence in Japan and the Philippines, Red Planet’s hotel footprint in both countries is expected to spur two-way demand from Japanese and Filipino travellers. Red Planet Manila The Fort is being developed as a 245-room hotel located in the prime Metro Manila business district of Bonifacio Global City and shall open by 2019. Opening in 2020 is Red Planet Manila Entertainment City, a 330-room hotel located adjacent to Manila’s bayside, proximate to Ninoy Aquino International Airport, the new casinos, and the sprawling Mall of Asiacomplex.